Ecotechnology – Agro-industrial holding "ECO-culture"
We use safe biological methods to protect plants against diseases and pests. We fight against fruit and vegetable pests using entomophages (predatory insects) and bioagents, which kill the most dangerous pests, such as whitefly, ticks and aphids. Initially, we were buying beneficial insects abroad. But today, our specialists can breed them in our own insectariums – laboratories for rearing beneficial insects, particularly macrolophus (predatory bug). Eggplants, which are the natural habitat of predator bugs, are cultivated to breed bugs. These plants are then planted in greenhouses next to tomatoes and cucumbers, along with adult insects. In addition to “imported” macrolophus bugs, we also deploy domestically reared insects to boost yields. Some of these insects are bumblebees, which not only pollinate plants, but also maintain the bio balance in our greenhouses. Apart from biological control methods, we also use ultraviolet and pheromone traps, as well as adhesive tapes to fight nocturnal flying pests. Mosquito nets are mounted on transom to prevent insects from entering from outside. Ultrasonic repellents are used to repel rodents. Our greenhouse workers can only enter the greenhouses after complying with a number of compulsory hygienic procedures: they must clean their shoes on a rug soaked in disinfectant solution, change their clothes and wash their hands. It is strictly prohibited to enter our greenhouses without performing these procedures. 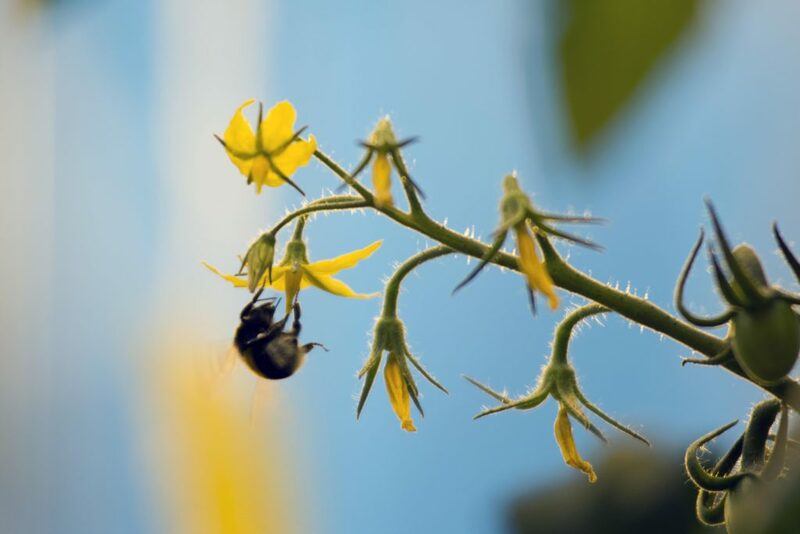 In addition to the above protection measures, we use special plant pollination strategies that guarantee ecological purity of the grown crops. We do not use any chemical methods and agents for protection. Our vegetables are 100% safe for health.